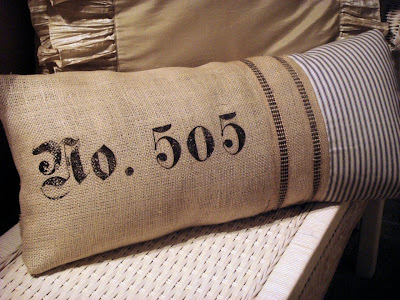 Burlap has always been a favorite material of mine. The course texture of burlap comes from the fact it is made from the skin of the jute plant, one of the least expensive textile crops in the world--and one of the strongest. Jute fibers have a high content of cellulose, a major component of plant stalks, as well as lignin, a constituent of wood. The result is a textile fiber that is part cloth and part wood, heat resistant, easy to dye and very strong. It's entirely natural and biodegradable as well! 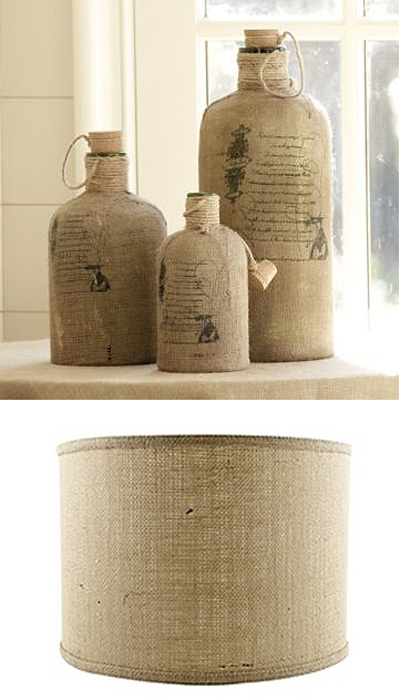 The texture and casual look of burlap is what makes it so versatile - it can be used in numerous ways, as you'll see in the images below. What do you like / dislike about this material? What other creative ways would you use it? wonderful post. 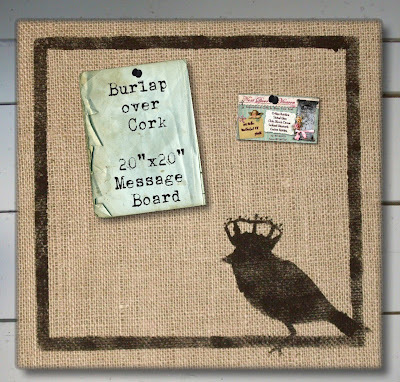 I am a huge burlap fan, and so glad to find another. aren't those napkin rings the bomb? Oh my goodness.... I love the owls, and I nearly died when I got to the butterfly pillow. I have quite a thing about both owls and butterflies! 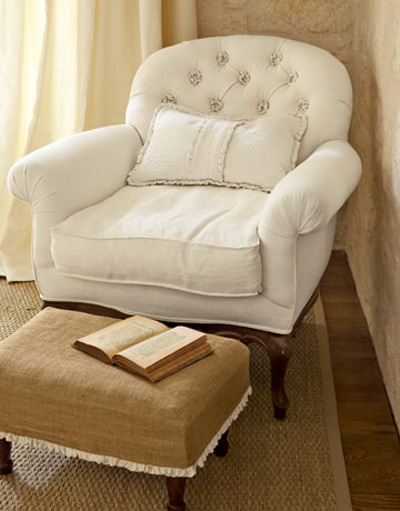 Great post, burlap provides such a great textural element to a room. 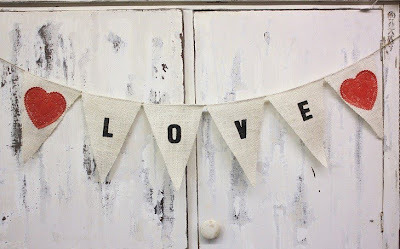 Love all the burlap ideas! The curtains are really cool, that would take a lot of material! 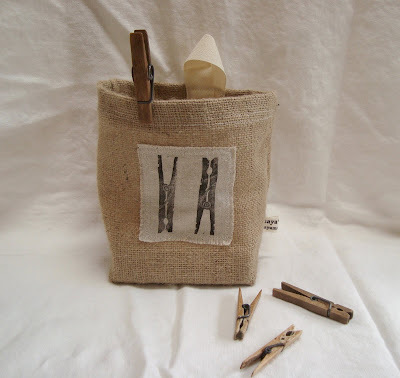 I've been using burlap lately for my crafts as well....Nice blog! love this post ... and these pictures are so beautiful.. thank you. I love the look of burlap - the neutral, earthiness is so my style...but I hate the feel. It is ok in certain contexts, but can often be too scratchy. However, I am obsessed with those napkin rings. 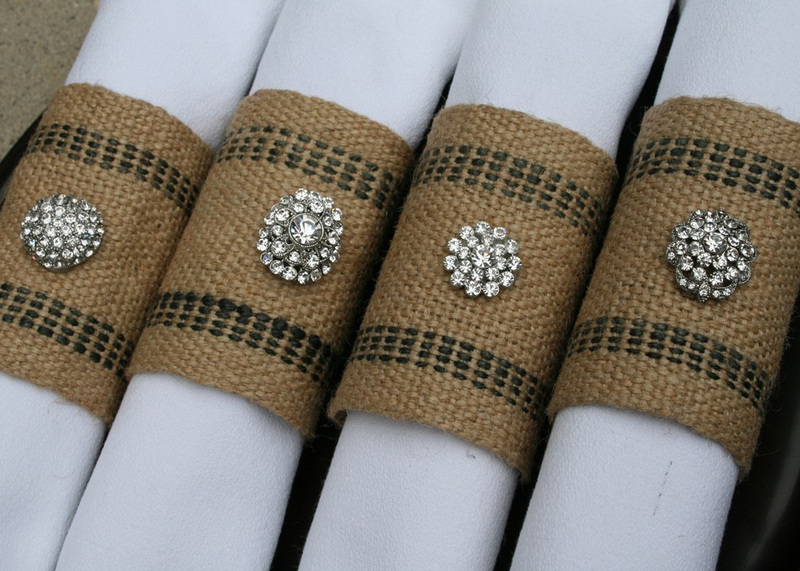 I love the contrast of the sparkle against the burlap. I think I may be addicted to burlap! 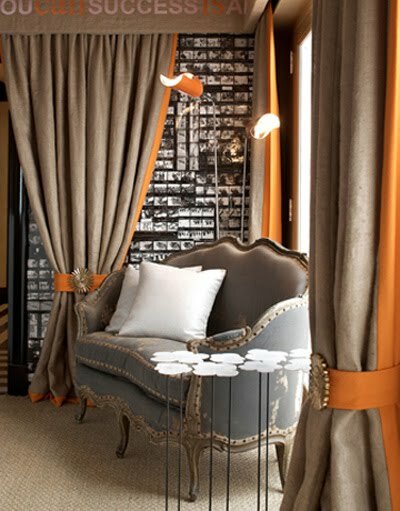 I love the look and the texture.. I love burlap! 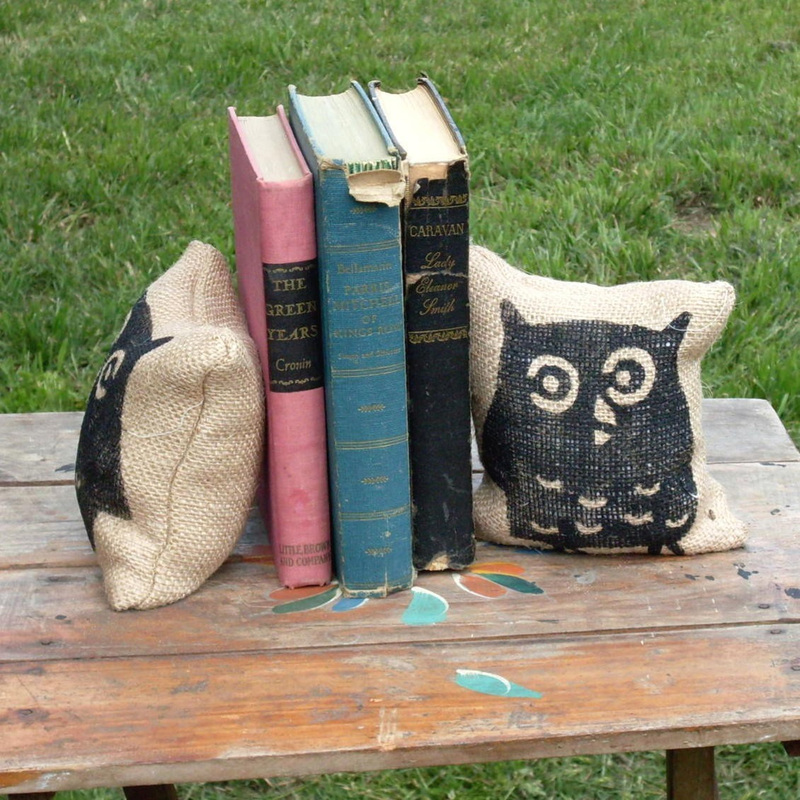 Those little owl pillows are just too cute. 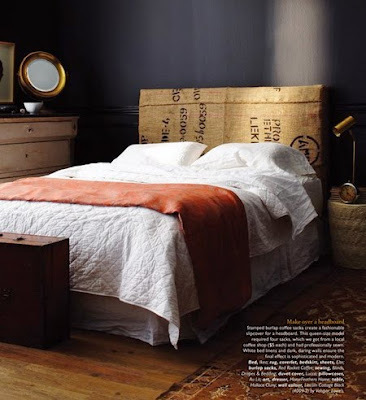 Every image you've featured here makes me want to incorporate burlap into our apartment decor -- I've thought about it in the past (recycled coffee sack pillow covers) and didn't, but this makes me want to rethink that decision. 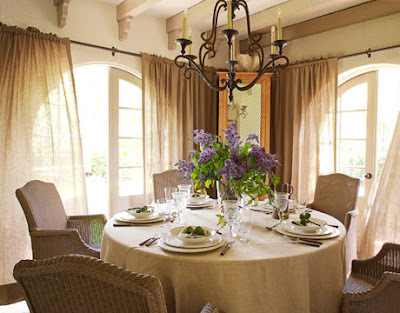 I especially love the burlap drapes (who knew jute could look so elegant?) and napkin covers! 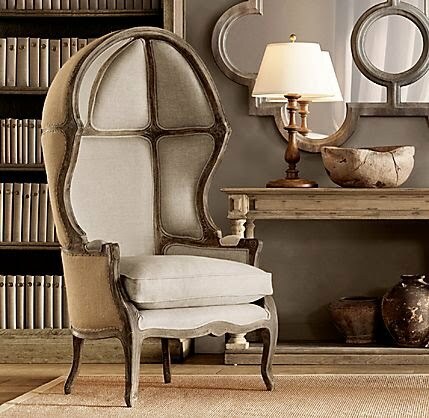 I love look of burlap. 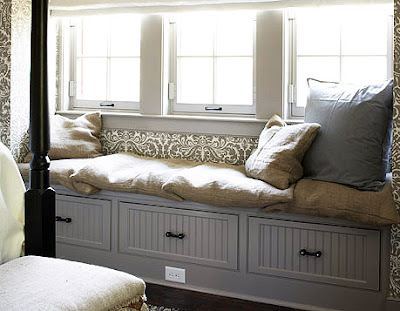 That headboard has me swooning! But, I do have to agree with others who said it is quite scratchy. 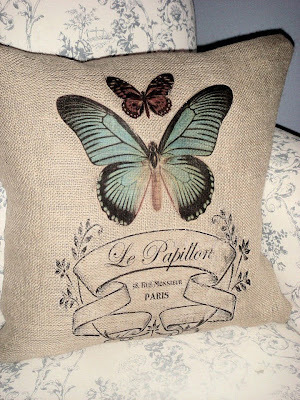 I'm not sure I would want to lounge on a burlap pillow. But, with any other use, I love it. 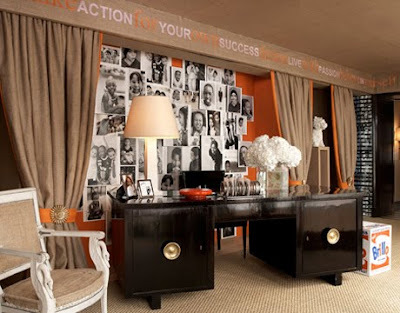 i agree with the scratchy element of burlap...definitely better to look at rather thank cozy-up to, right?! never has a sack been so attractive! Thanks for this informative post. I have seen this fabric around more and more recently and love it but certainly did not know that it was called burlap or that it is made from the jute plant. What really caught my interest is the fact that it is kind to the environment. Thanks I really enjoyed this post. Burlap! Who knew! I really like it! the bookends are too cute!! !